Harness the power of artificial intelligence to drive revenue with actionable, real-time conversation insights. Signal AI uses machine learning to analyze entire conversations, and identifies consumer intent, behavior, and the outcome of each phone call. Feed these valuable insights into tools such as Adwords, Facebook, bid management platforms, and DMPs to make your entire stack smarter. All in real-time. You don’t need a data scientist to make this work. 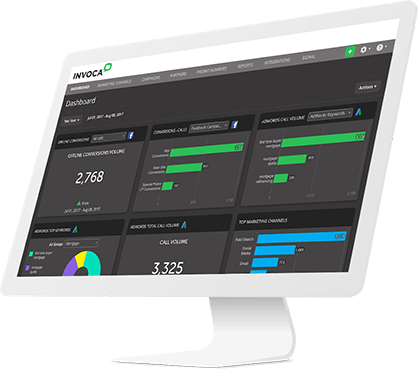 You can have Invoca's machine learning algorithms analyzing your calls and delivering insights with just a few clicks.